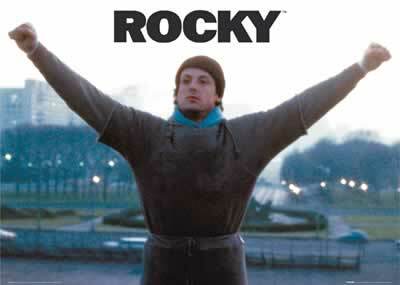 To me having the “Eye of the Tiger” or EOT, as I just came up with in my head; is essential to succeeding in life. You might be wondering, “Matt, what on earth do you mean?” Well let me explain this in terms of how I approach my training. (This approach can be applied to almost every daily activity from fantasy football to work for a fortune 500 company) When I say that having the Eye of the Tiger is essential I mean that in order to succeed at something you must be totally focused on getting the job done. Getting the job done does not always mean that it is going to be easy, or that it is even going to be right…it just means that it’s done…and once it’s done you move on to the next thing. When you have the Eye of the Tiger you focus solely on the task at hand for the time you have alloted. This might be better represented by the phrase “Just Train” or “Just Do it”. Training for something like a half ironman or ironman distance race…or marathon…or really any endurance activity really takes a lot of time and dedication. The truth is that you are going to have to train when you are not 100%, when you are tired, when you haven’t got enough sleep and when you would rather be on the couch nursing some warm soup. It is at these times when having the Eye of the Tiger is most needed. When on a daily basis you can put your head down and just train without worrying about whether you will hit your training marks (goals) then you can truly progress. All to often we as humans can get in our heads about things. When I get into my own head about training in particular I can either really motivate myself to do something or the opposite…and the opposite is not good. The opposite usually results in me either going to right to bed instead of getting that bike session in or completely blowing up and wasting my own time half assing a workout. Instead of pysching myself out I have worked hard this year to JUST TRAIN. A smart person told me to forget whatever preconceived notion of what a workout should be, instead just go out and execute what has been planned. Some days will be better than other but either way you will be giving it a full effort without selling yourself short. Along this lines I can say from personal experience that a lot of weekly consistency in terms of volume can be trashed and thrown right out of the window when you start skipping workouts and/or trying to shuffle them around…believe me I tried myself to pull this BS just this week…its hard but if you have a good system (a good coach/mentor) they can help you from falling into the traps. Just last night I had a decently long run scheduled. After a long day which started out at 4am, a drive to Rochester, a swim, a day at work, and then another 1 hr drive home to Penn Yan…I can say that I wasn’t exactly bouncing off the wall with excitement to head out in the pitch dark for over an hour. (I preface by saying that I do this stuff out of a passion and love for it, love for the sport and a passion to succeed) Well I got my arse out of the door and put one foot in front of the other. The first half of the run felt completely awful, the longer the runs are the more time you have to play games with yourself, like in your head when you think “damn this feels slow, it will pick up…10 min go by…nope just not feeling it, wonder how the tempo interval is going to feel…ugh I gotta pee….ahh there we go much better…5 min later…yuck my legs feel like lead….hmmm there’s a deer….and there’s a cat…boy those people should get their garbage can out of the road….”you know the things that play on in your head when your alone on a dark road. Anyways the moral of the story is that I had a really really solid second half of the run where the pace picked up and I hit my targets. It doesn’t always work out like this but I would say that more likely than not if you put yourself in a position to just get the work done you will have a successful training session..and hey if you hit every goal and executed every session exactly as prescribed than maybe those goals need to be raised. So I will leave you with these words; don’t think about how your going to do everything on your plate (schedule) just start chipping away at it without getting overwhelmed before you even begin. For triathlon go into every workout with a blank slate and chisel your own work of art. Sometimes it will be worthy of a museum and others a refrigerator door…but the fact of the matter is that you got the work done and you can move on to the next task.